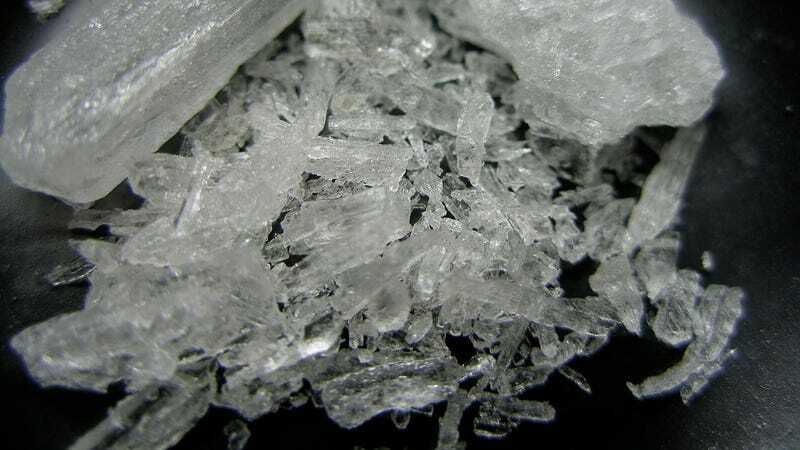 An Ontario mother is outraged after her 13-year-old son was handed instructions for making and injecting crystal meth as part of a drama class assignment. According to Greenidge’s son, the unnamed grade eighth teacher printed out the instructions as part of an acting assignment, and instructed the students to “act scared” when making the drug, and to “act happy” when injecting it. Strangely, the teacher thought it appropriate to provide the actual instructions for producing methamphetamine, otherwise known as crystal meth. The document apparently provided such instructions as, “Give your arms a wipe with alcohol wipes...or use a wet wipe, this is to prevent any bacteria infection.” Given how difficult it is to cook crystal meth, it’s unlikely the students would have tried to do it themselves. But the decision to provide injection instructions, while having the students portray a user as being “happy,” is a clear display of poor judgement. According to Pereira, the teacher made the recommendation to a student who was struggling to come up an idea for the assignment, and he acquired the instructions on the internet. The teacher has been suspended without pay, and the school board is now conducting an investigation. For privacy reasons, Pereira wouldn’t disclose the name of the teacher, or comment on whether or not they had any prior history of problematic behavior.